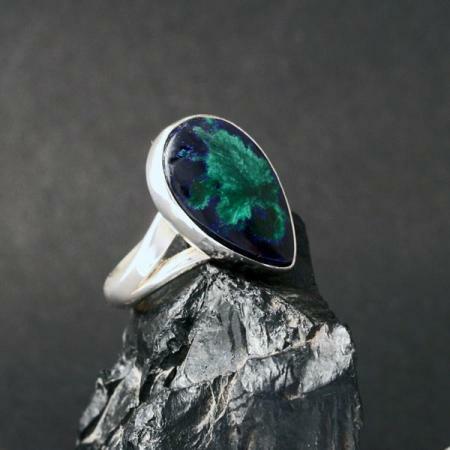 This amazing azurite ring features a dramatic stone of deep lapis blue and vibrant malachite green set in sterling silver. 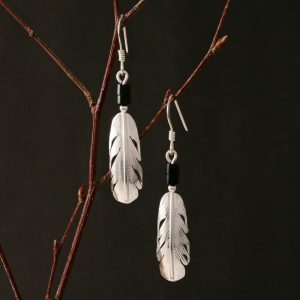 This one of a kind piece is handmade by Harvey and Janie Chavez of the Kewa Pueblo tribe in northern New Mexico, USA. 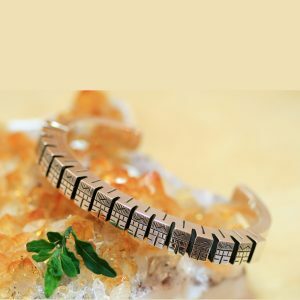 The raindrop shaped stone measures 2cm in length. 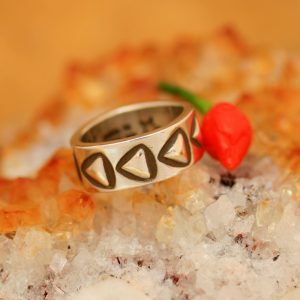 The sterling silver ring fits UK size P / US size 8. Janie Chavez and her husband Harvey have been making beautiful jewellery for Rainmaker Gallery for over twenty five years. We are honoured to bring you the beautiful work of this talented family.